It’s 3am And I’m Tired! I’ve been messing around with my Janome, and I’ve finally gotten used to sewing on it! I must say, dropping the feed dogs makes my life so much easier! 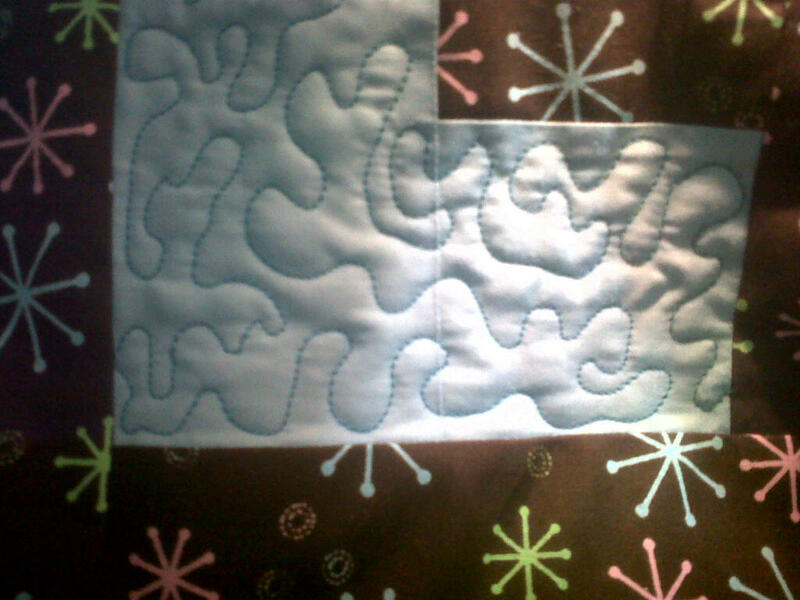 After about 3 hours of messing around, I started to quilt the Square Spiral quilt. (I’m still working on a title for that pattern.) I’m just doing some small stippling, and using the thread that corresponds to that section’s fabric color. It’s looking tight! I’m going to bed though, and I’ll post more pictures tomorrow once I quilt more! Have you tried making up sample squares to practice on as you get familiar with your new machine? Hope you enjoy your new machine.